Click and drag the dead body from the ground into your truck. 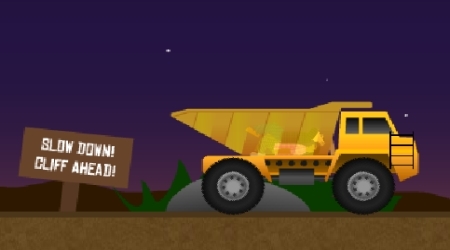 Drive your truck using the Up and Down Arrow Keys. Do not let the bodies fall off from the truck. When you reach the end of the road, throw the bodies to the cliff using your Mouse.